Help your loved one live with dignity and respect. Giving you and your family greater peace of mind their loved one is not alone and that the basic necessities of life are being handled professionally. We can provide care in the privacy of your loved ones home, Long term care unit, hospital or senior home residence. 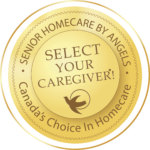 Companion Care: A carefully selected, certified caregiver (Angel) visits our client at her home twice a week on Tuesdays and Fridays for three hours a visit. The caregiver does light housekeeping, changes the bed sheets, prepares four healthy meals, and provides joyful companionship and great conversation with the client. The caregiver’s visit is reported on the Family Room portal for our client’s family to keep up with what’s happening in the home. 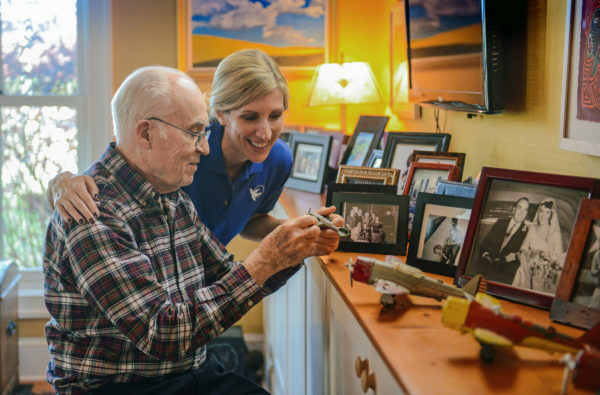 Personal Care: A specifically trained and certified caregiver (Angel) visits our client’s home five times a week Mondays through Friday for two to three hours a day to assist with activities of daily living including toileting, dressing and bathing. The caregiver provides light housekeeping, laundry, changes the bed sheets, ensures the home is safe from any hazards, provides joyful companionship and prepares meals; breakfast, Lunch and dinner. She will also assist with medication reminders and organizes the pill box, prepare the meals for the times she is not there for reheating. The caregiver’s visit is reported on the family room portal. Elder Care Service Video. How will you support your aging loved one? We provide compassionate companion and personal care in the privacy of your mom and dad’s home. We provide physical therapy & massage, exercise and occupational therapy. We bring all of our services to you. A customized care plan is prepared to address the needs of your family and loved one. Our commitment to your family is supported by a dedicated team of caregivers. We’ve earned the trust of families who believe in our commitment to the highest level of care. We offer you and your family peace of mind that your loved one is safe and cared for, as well as the freedom to pour your time and energy into other responsibilities. We believe that families should focus on enjoying quality time with loved ones, not on providing routine or personal care. Companion & Personal Care Solutions That Work For You!